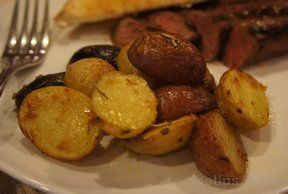 Roasted potatoes is an easy, delicious side dish especially when roasted alongside your chicken or beef or pork roast. 1. Preheat oven to 400° F. Mix dill weed, garlic powder, salt and pepper in small bowl. Set aside. 2. Toss potatoes with oil in large bowl. 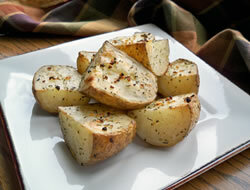 Sprinkle seasoning mixture over potatoes; toss to coat. Spread potatoes in single layer on foil-lined 15x10x1-inch baking pan. 3. 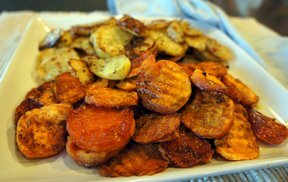 Bake 40 minutes or until potatoes are tender and golden brown.